Hello everyone, and thank you so much for joining us today on This Needs to be Said. We’re being joined by Attorney Beshoy and we’re going to talk about family law in this episode or this interview for today, we’re going to talk about things to consider when thinking about getting a divorce and that is a big D word. People aren’t getting married to get divorced. However, if you must, you want someone like Attorney Beshoy on your side. How are you and welcome to This Needs to be Said. Attorney Beshoy I am doing well, thank you Katherine. It’s a pleasure being here with you. Awesome, well this is a tough topic. While talking to an attorney could be scary, I realize with us being able to do these interviews, we help people to get through these toughs times, and I want to talk a little bit about what you do and how did you get into family practice, what is it that made you want to help families in this way? I personally come from a large family. Family law kind of found me. I started with my partner about five years ago, and I just love helping people. I know it’s a divorce. I know it’s a tough time, but we can do a lot of good helping people get through those tough times. Awesome. Now as you are helping people to get divorced or prepare for divorce, what are some things that may be, what are the things that people come and ask you commonly when they’re going through a divorce and I guess it’s two parts because then I want to know after they ask you these questions, do they sometimes stay married? Absolutely and one of the first questions that we at Family Law Matters ask is are you ready? I mean for us, a divorce is like a death in the family, so one of the questions that we ask our clients during our consult is are you ready for this? Is this what you really want and have you tried any other alternatives? Have you considered any other alternatives whether it’s religious through the church or whether it’s through some sort of family counseling or mediation. Once they are certain that this is the path they want to go down, then we start discussing more specifics, more details about what to expect during the process of a divorce and how to prepare for it. Okay, and for those who continue and say yes, this is what I want, how long is this process and what’s the emotional part of this process? So that’s a two-part question. The emotional part is a rollercoaster. You experience a wide variety of emotions, first, if you’re married for 10, 15, 20 years, the first emotion you’re going to experience is you really don’t want to go through a divorce. You still love this person and eventually, unfortunately throughout this process, that love turns into anger turns into frustration. It turns into now I no longer care about this person so there is a wide variety of emotions involved in this process and in terms of the time, it really depends on the case. I know that there is the usual myth of attorneys like to use the six months and a day timeline, but that’s really, it’s not a myth, it’s more of a timeline if you’re looking to remarry. You can’t remarry for six months and a day but it really depends on how much is involved in the case, how complicated obviously if there are children involved, it tends to be a little more complicated depending on the age. There is finances, there is property. There is just a lot to cover. So that makes sense. So would you say there is stages because it sounded like you were naming stages of grief or something when you were saying it goes from this to this to this. It goes from I love you to I can’t stand you. Would you say that there are stages like that in the divorce? Absolutely, and it’s just, a wise person will learn to control those and that’s what we try to do. We try to help our clients control those so that they can move on, get this divorce done as quickly as possible, focus on what’s important whether it’s their kids or whether it’s their career, and try to re-build their life again. Yeah, because while it is like getting a divorce, no one has left this earth so you still have to deal with this person if you have children, especially. So, do you help the clients, like what’s happening after? Because you know what’s happening leading up to getting the decision made about the divorce and what had to be sorted out, what property, kids, whatever. But what about after the divorce, is there life after the divorce. Absolutely. So one of the unique things that we do at Family Law Matters is once the case is concluded, we do bring the client in for one final appointment, and we sit down and typically one of the questions is what do I do now? And it’s just really a matter of it’s a heart to heart conversation, what is it that you haven’t been able to accomplish? What is it that you want to accomplish in life? What’s your purpose in life? And it’s just a matter of having a conversation, and it varies from person to person, like I said, if it’s children, if children are typically involved then that tends to be the focus, which is amazing. If it’s the career, if it’s switching careers, switching jobs, getting back out there and dating again, it’s a matter of sitting them down, just talking through it. Saying look, what’s done in the past is in the past, put it behind you and just focus on what’s to come. And that’s excellent. I started out our interview talking about how scary it could be to speak with an attorney and divorce is not an easy process and now you’re following up with me and to me what you just described doesn’t say you’re just out to have me pay you to get me a divorce and I have seen signs about quick divorces and things like that, but this sounds like a process where you’re dealing with the humans and not just the process and that is very much appreciated, just from me listening and thank you for sharing that with the This Needs to be Said audience. 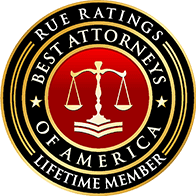 Now, as you said that, being an attorney who cares about the outcome of the divorce and your client, family practice has a little bit of a different look by this point in our interview simply because people need to know that you’re the experts, you’re the person that they can come to and feel confident about their next steps. Are they ready for a divorce and what to do next. Those are two things that have stood out to me during the time talking with you on today. So every situation is not the same. Even if we stood around the water cooler and I talked about my possible divorce and my friend talked about her possible divorce, there is always something different, and at this point, I want you to share with people how they can call you and talk about their individual situation because we cover it in this interview or any interview because it’s not their specific thing. So if they want to get more personalized, how would they get in touch with you? Absolutely Katherine. There are multiple ways that they could reach our firm. The easiest way is to go online. We have our website which is TemeculaDivorce.com. That’s spelled T as in Tom E-M-E-C-U-L-A Divorce D-I-V-O-R-C-E.com. They could also call our office. We actually now have two locations serving the Riverside County. We have our Temecula location and the phone number for that is 951-987-0505, and we also have our Corona location now servicing the downtown Riverside area, 951-263-7377. If they also mention the ad or mention our website, we do waive our consultation fee. Now you said something in the beginning, I know our time is winding up, but you said something in the beginning that family law found you. Can you give me a little bit more about that? That intrigued me. So I have always wanted to become a district attorney. Law has always been my career choice. When I went to law school, I did an internship at the DAs office and to me, there was not a connection. It was unfortunately a matter of meeting quotas, meeting numbers. If somebody did one thing, how many crimes or how many charges can you put against them or can you put on the table. That to me, just did not seem right, so I started doing other internships, and I did an internship with my partner, Gina Famularo and I loved it. I loved the concept. I loved what she stood for. I loved what our purpose was and it really is just protecting you and your loved ones using Christian principles and that’s something that meant a lot to me. Fantastic. Attorney Beshoy, thank you so much for stopping by This Needs to be Said. I look forward to having more time with you in the near future, and just have a wonderful day. Thank you for sharing with us. Thank you so much for having on air, Katherine. Take care.